Answers to a variety of rules questions are the focus of this month’s Sage Advice. New rules questions and answers are gathered in the Sage Advice Compendium, which collects official rules answers in one PDF. You can see which sections of the compendium are new this month by looking for any paragraph in a shaded box. Tales from the Yawning Portal includes the classic adventure Hidden Shrine of Tamoachan. 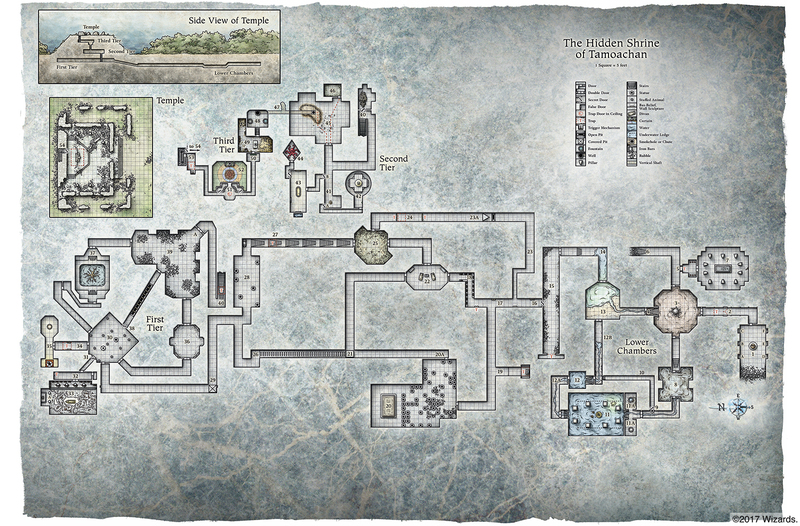 Unfortunately, the big map of the shrine is partly gobbled up by the book’s binding, so we’re providing the map in its entirety for you to download. We’ll fix the map in the book in a future printing.